Here is the much-anticipated final installment on my series of tips on easy ways incorporating olive oil into your diet today can have a positive affect on your risk of coronary heart disease. This is one of my favorite ways to incorporate olive oil, because the oil stays in its natural form and you reap all of the benefits! 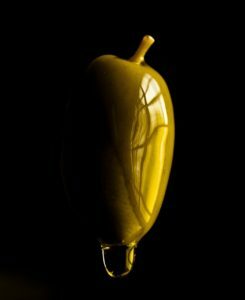 Olive oil has such a great aroma and flavor, but doesn’t it look beautiful too? Impress your guests by using olive oil as a drizzle over appetizers or a stand-alone dip for toasted bread at your next candlelight supper. Using olive oil in the place of saturated fats like butter or vegetable oil in your diet can help you reduce the indicators of risk of coronary heart disease in less than a month. We all need a little support to eating healthy from time to time, so contact me for a personalized coaching session and let me help you learn how to start replacing all of the fats in your diet with heart-healthy olive oil.